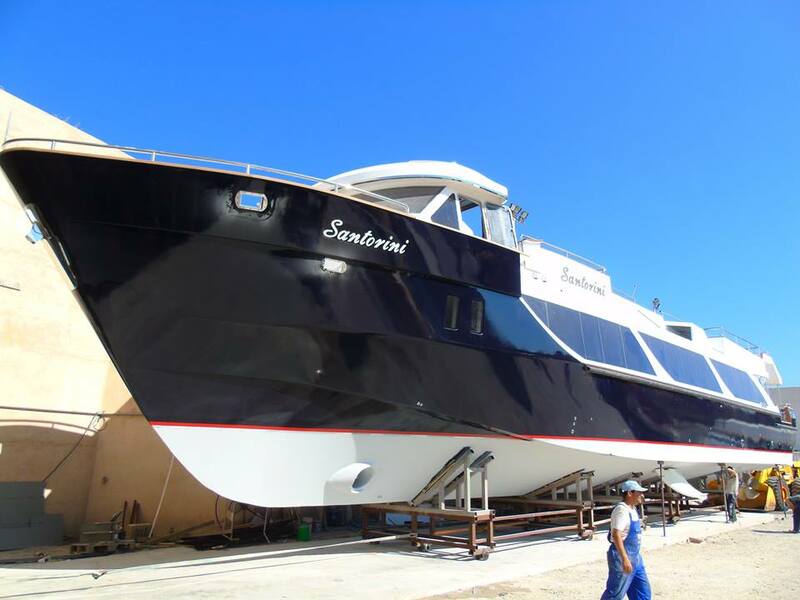 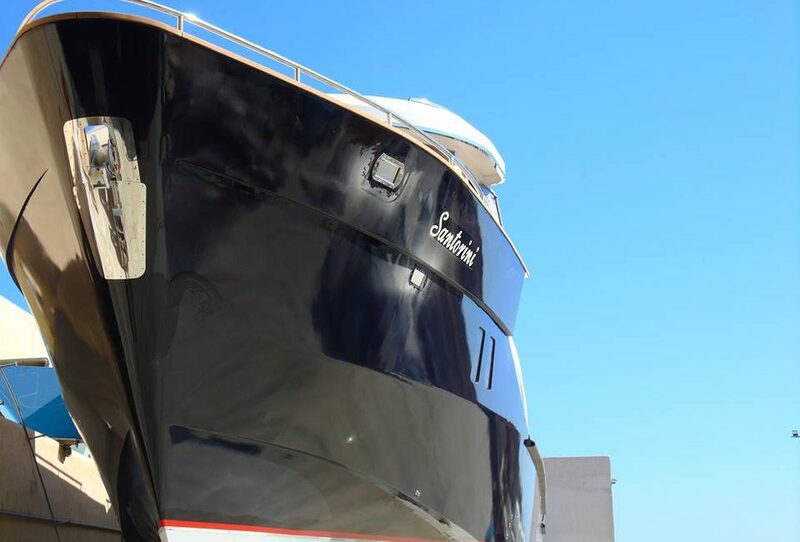 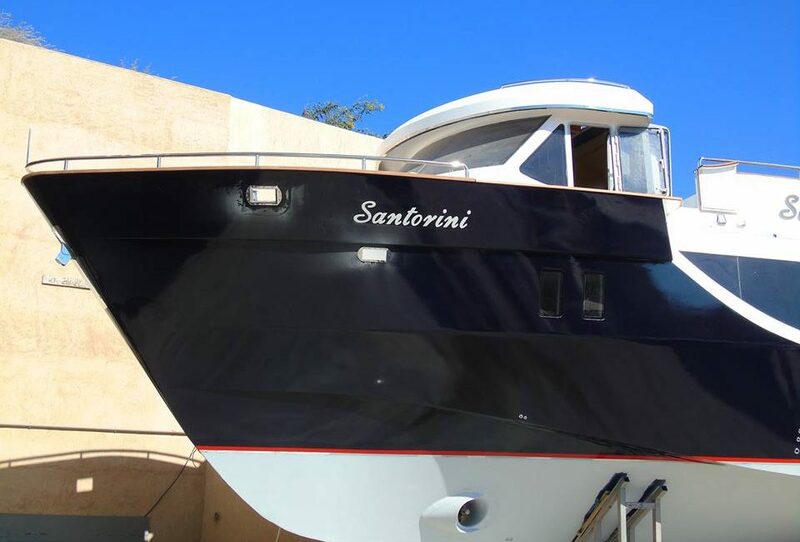 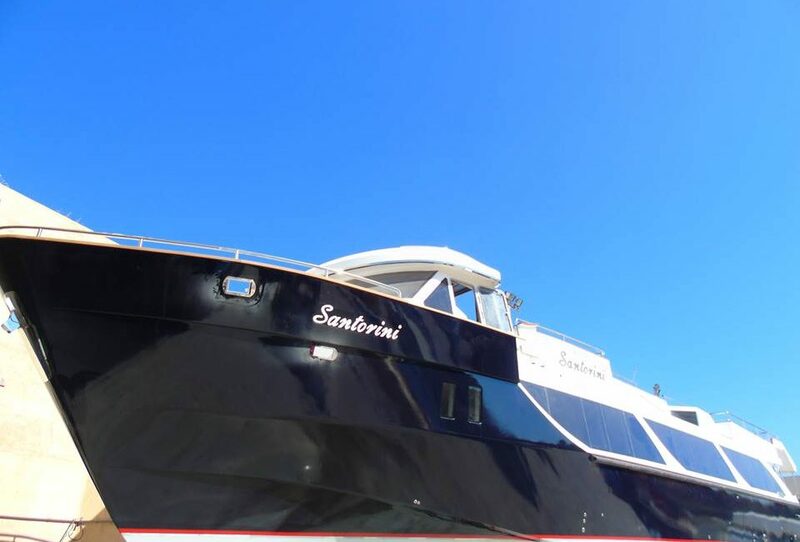 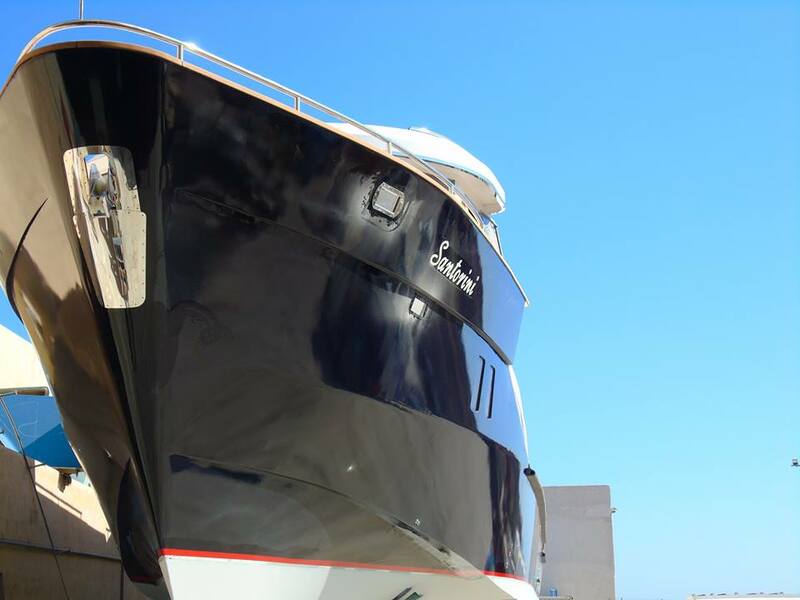 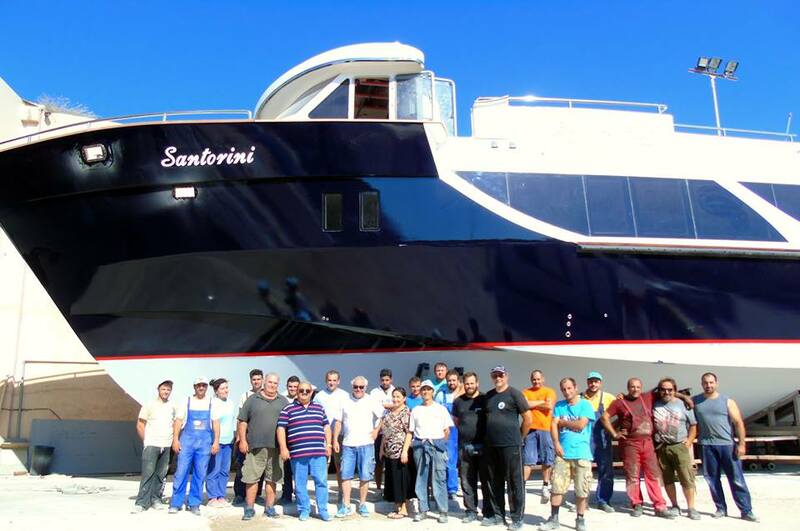 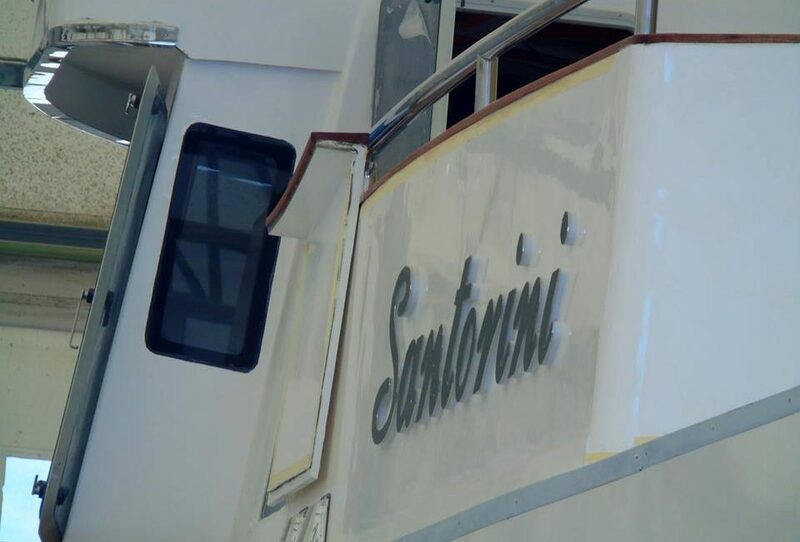 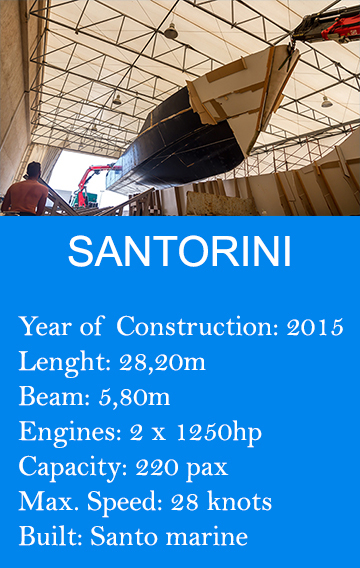 Santorini is the second luxury passenger vessel completely made in Santorini in our own shipyard SantoMarine. 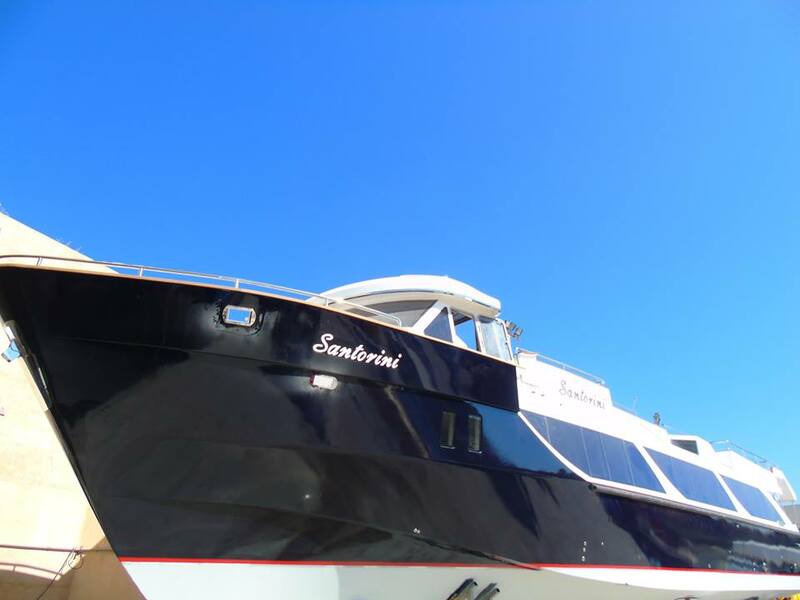 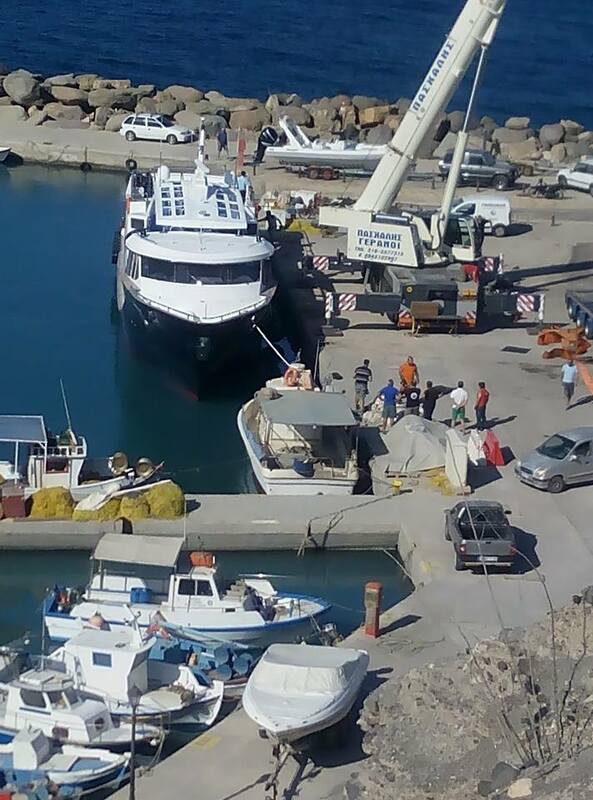 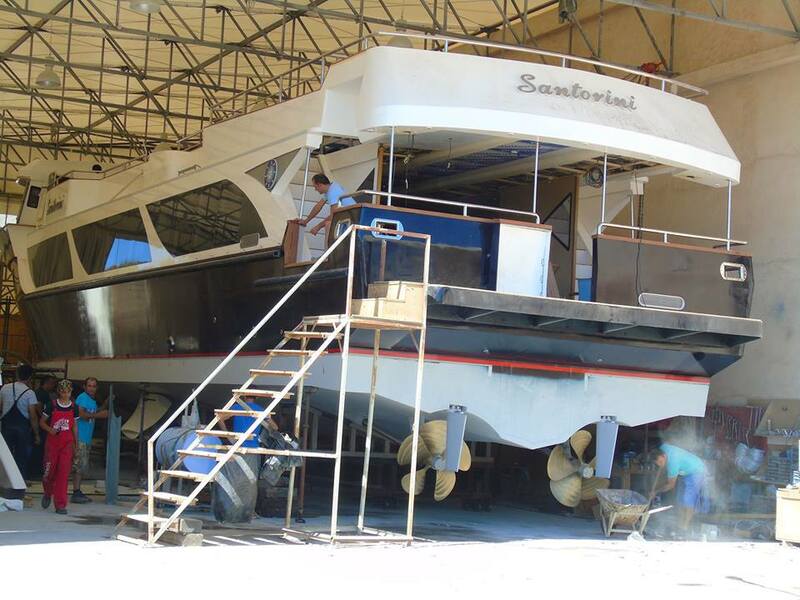 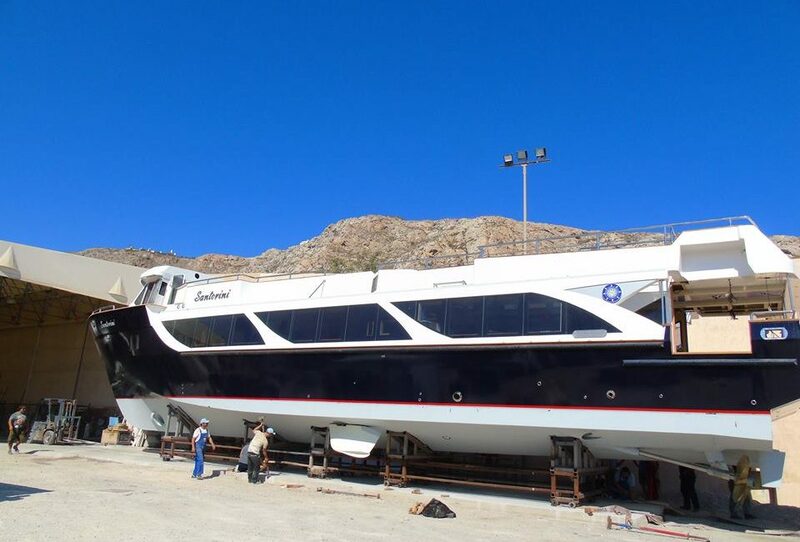 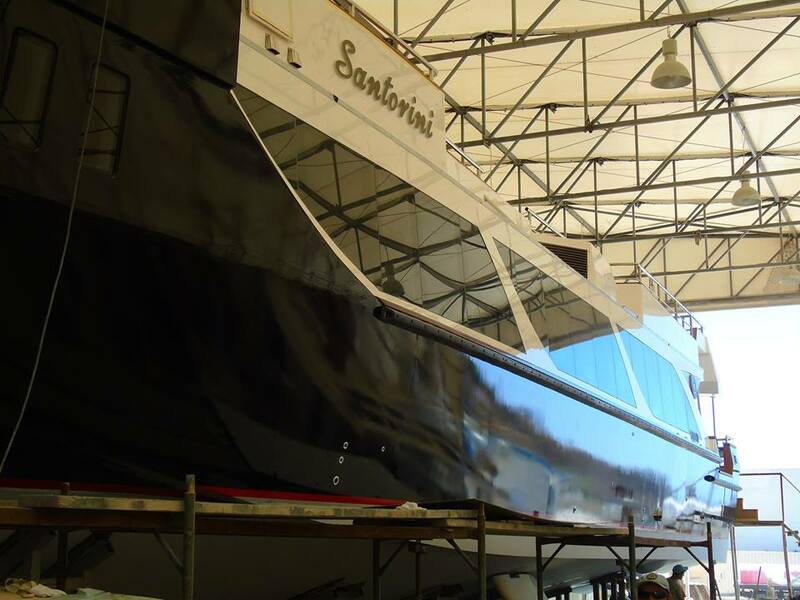 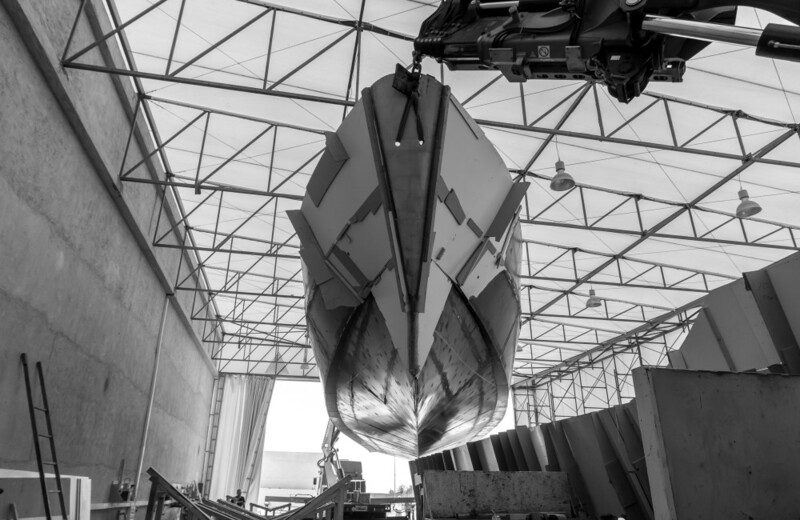 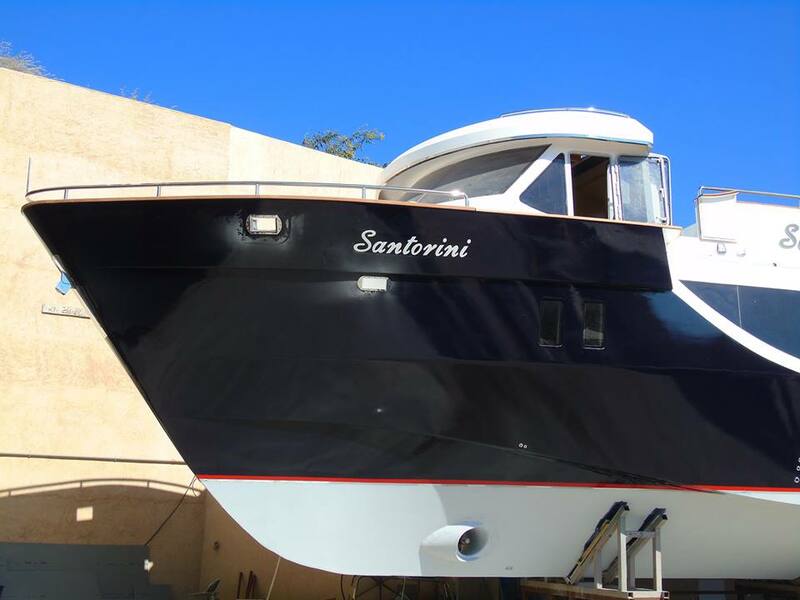 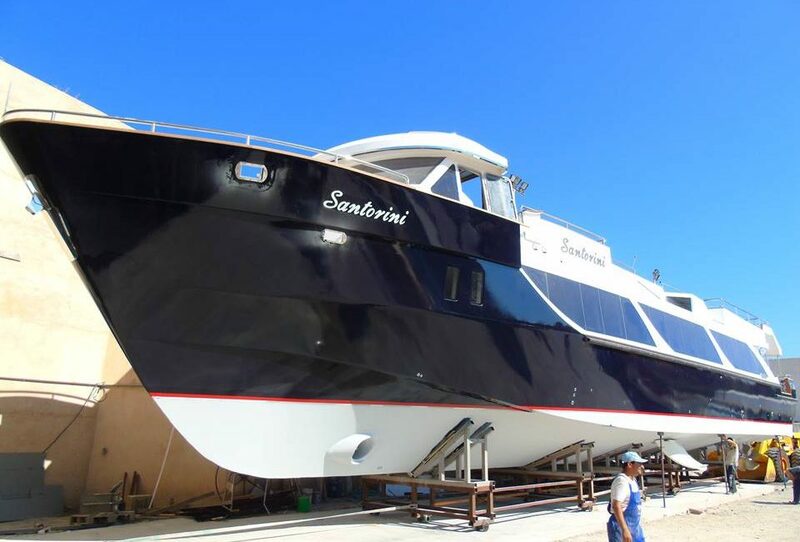 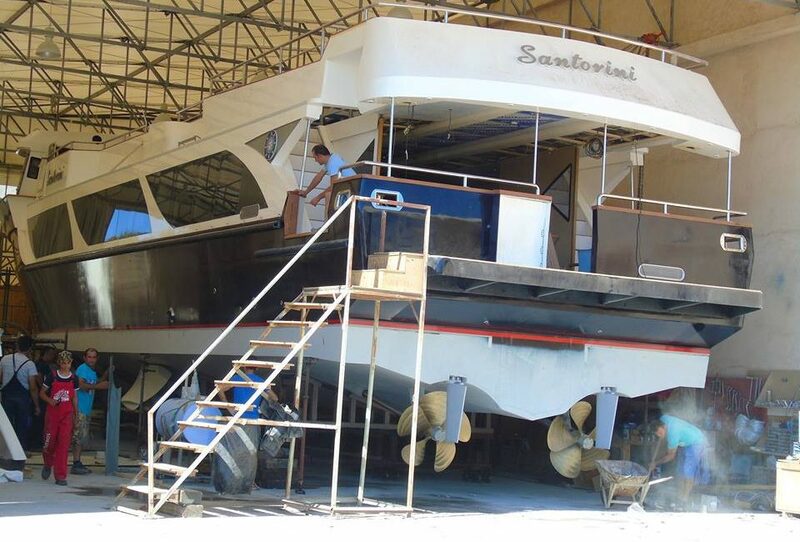 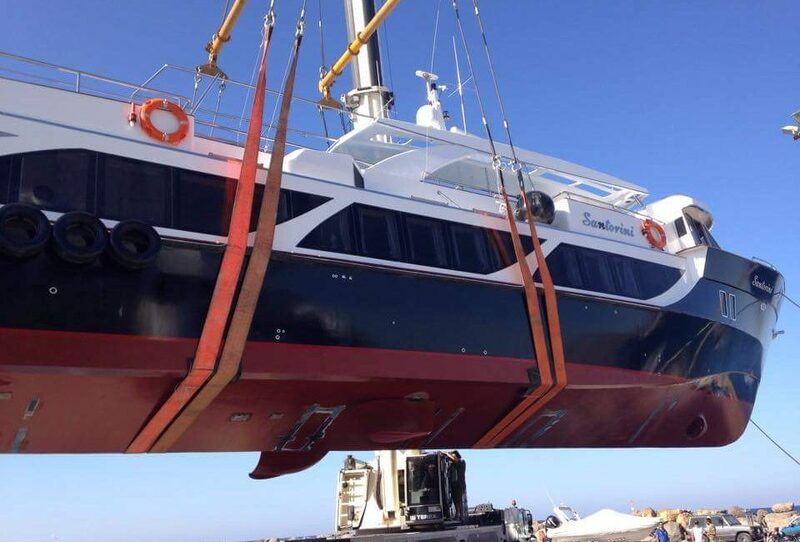 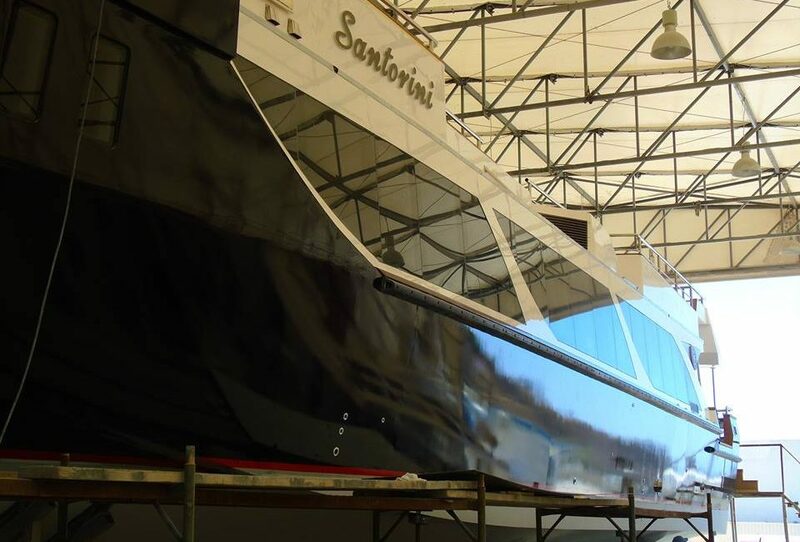 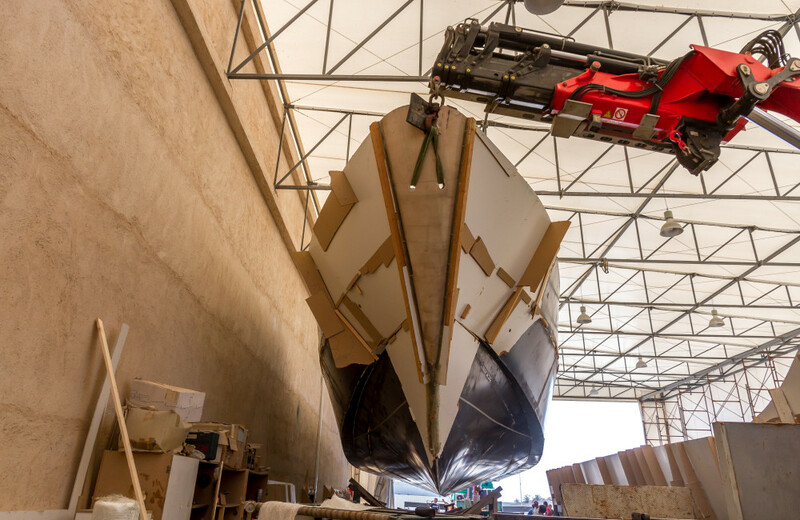 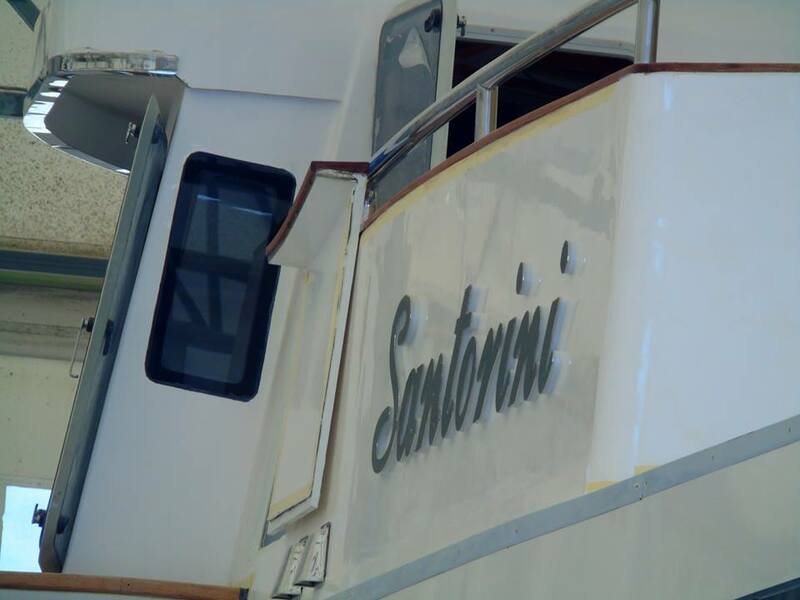 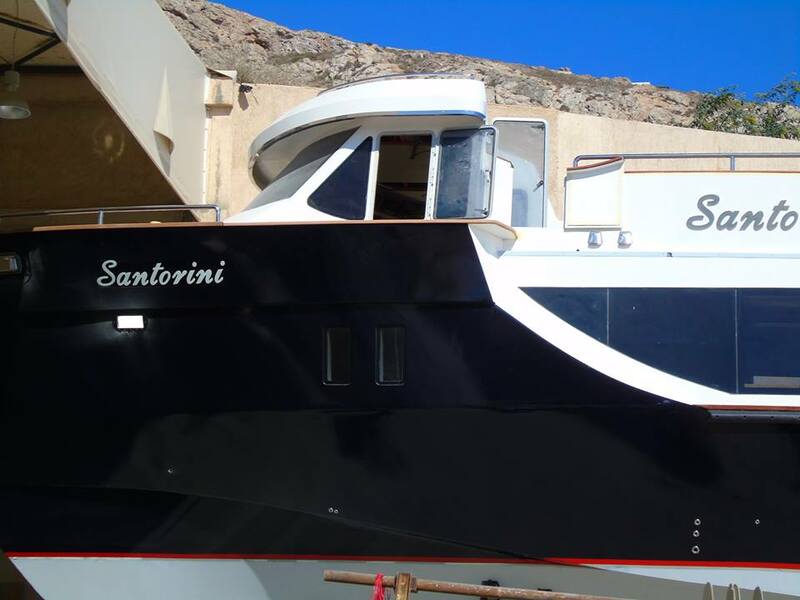 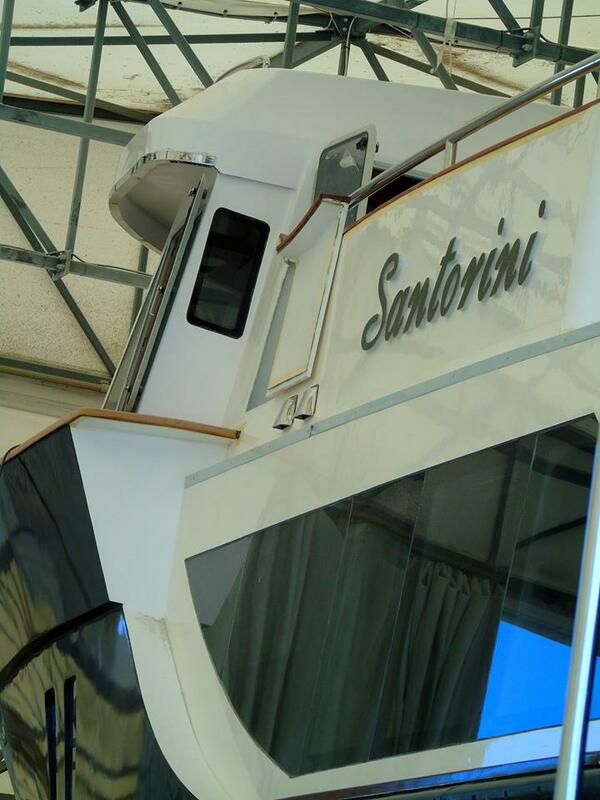 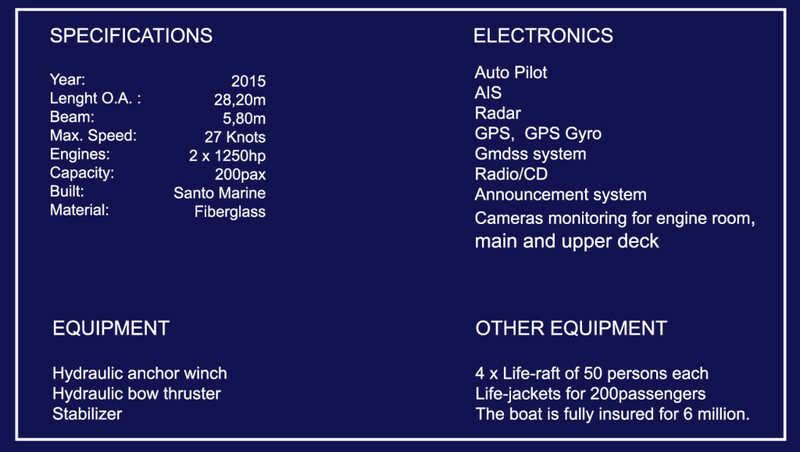 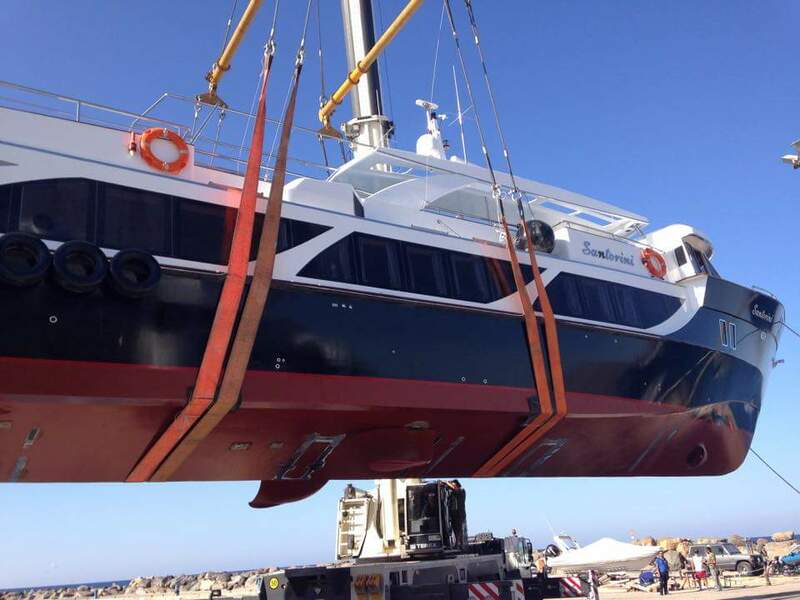 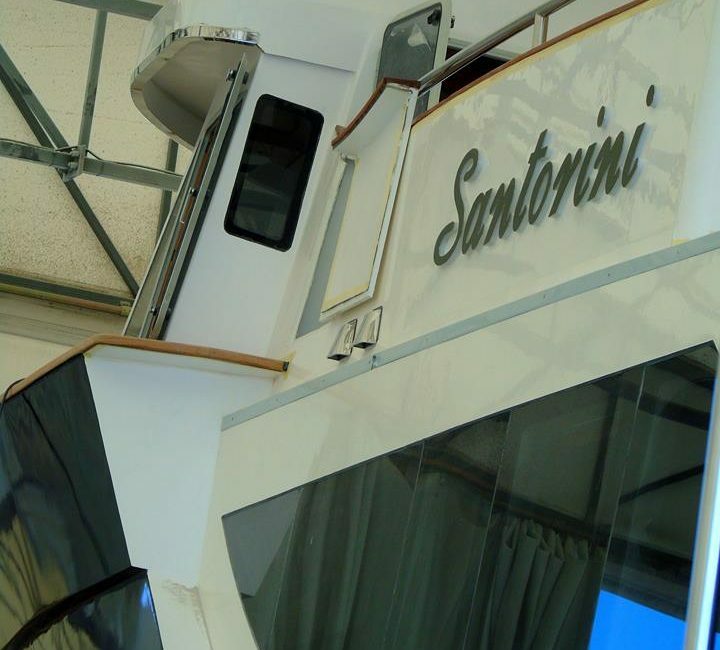 The boat will be launched on June 2015 and it will be dedicated to our island Santorini. 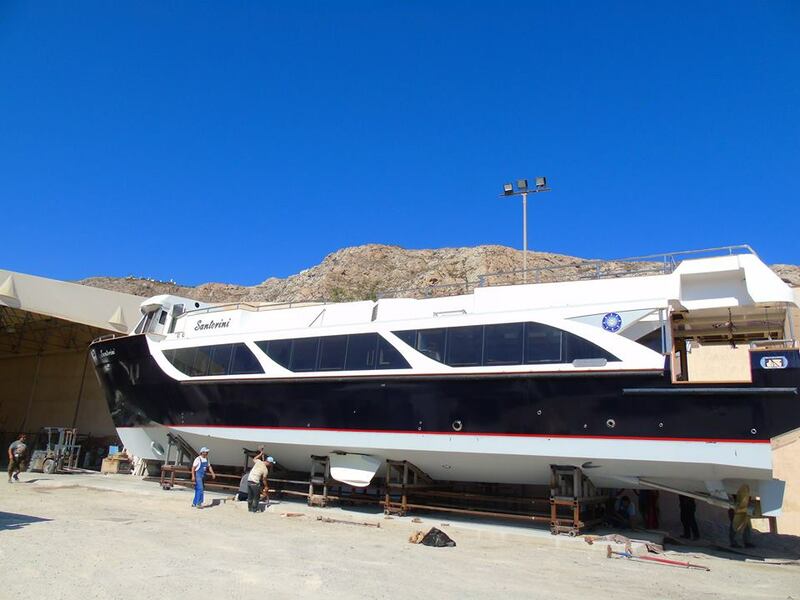 This vessel will be the flagship of our large fleet made of 18 passenger vessels, the most developed motorboat, that will set a new level standard about comfort, cruise speeds, safety and quality of the service. 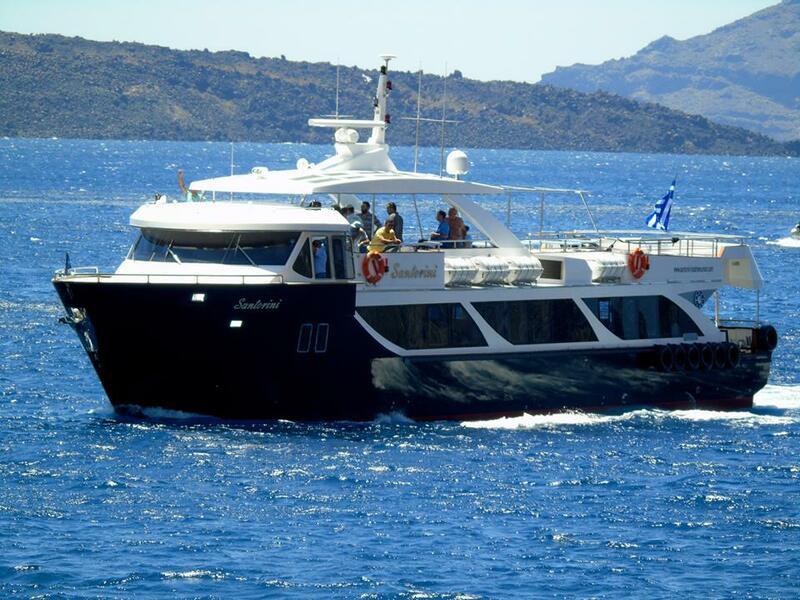 It accommodates 200 passengers divided between the two decks and an air-conditioned indoor lounge fully equipped with bar, toilets and well refined marine sofas. . 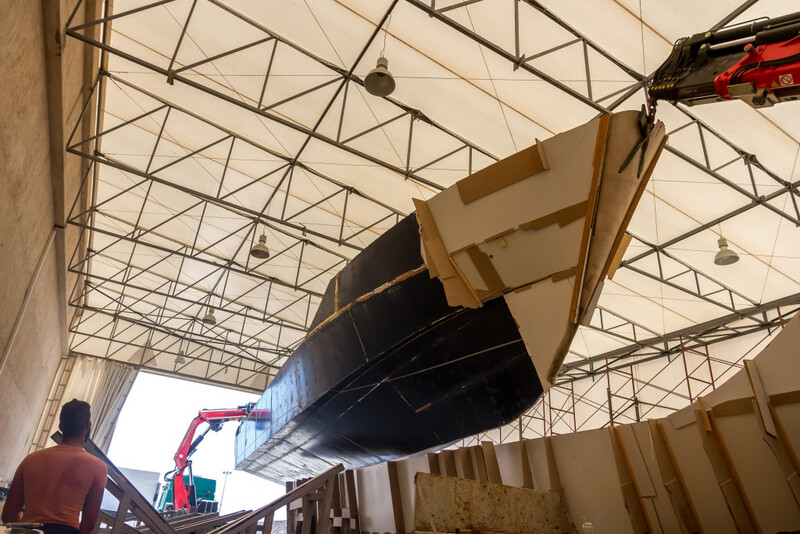 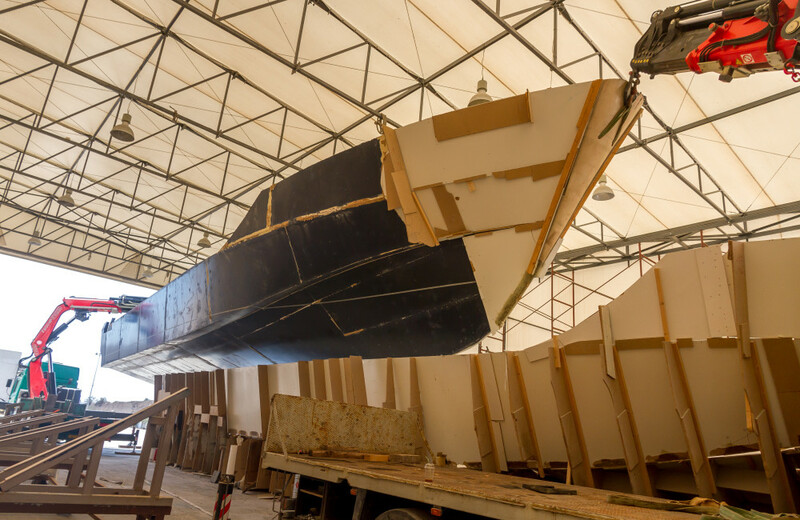 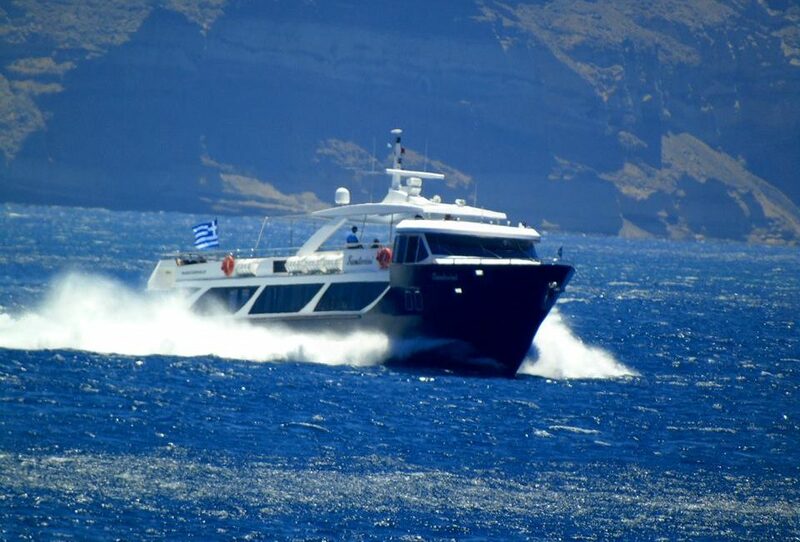 The vessel is designed to have excellent sea-keeping characteristics in the Aegean Sea conditions due to the form of the hull and its special stabilizer system. 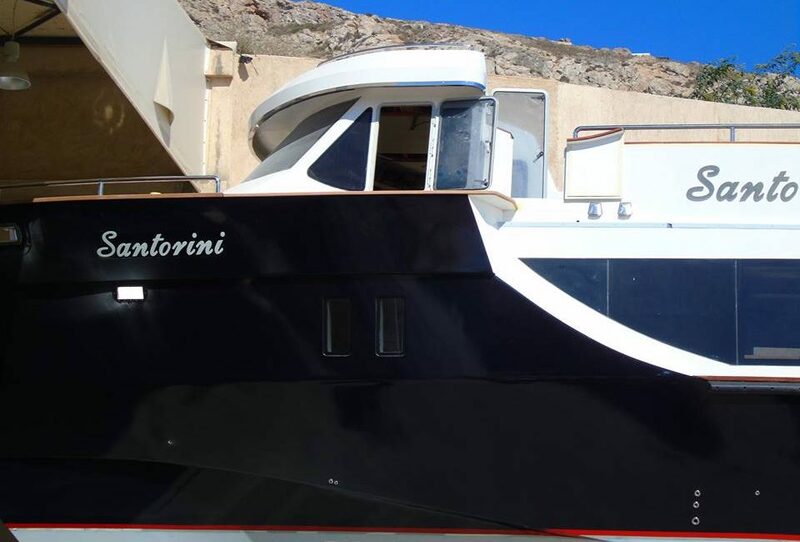 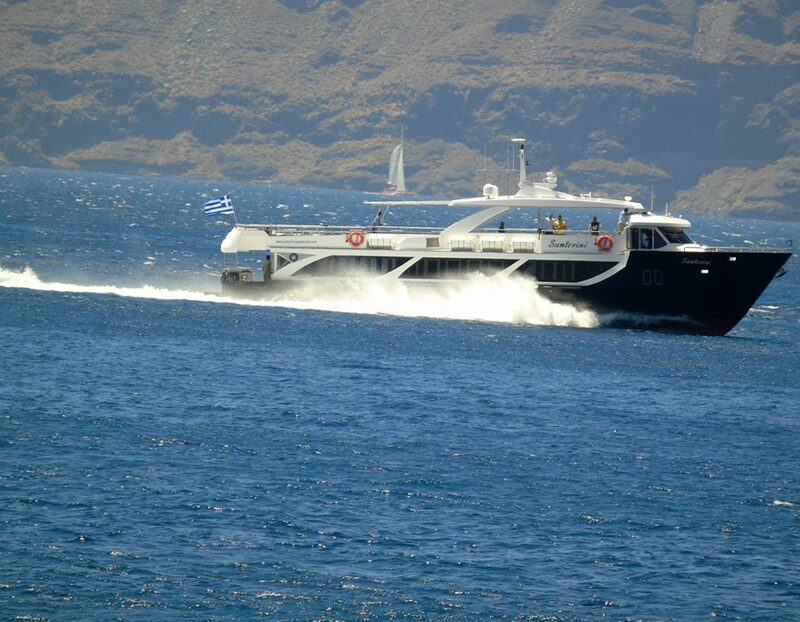 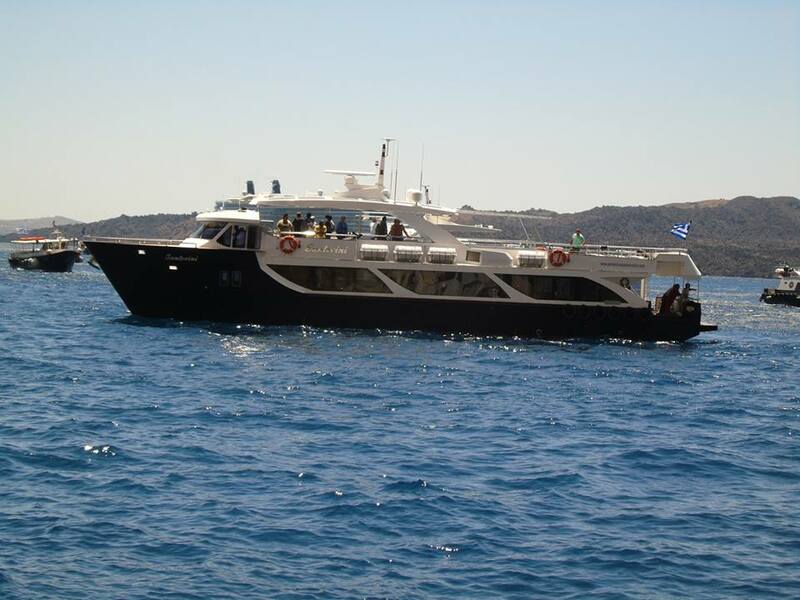 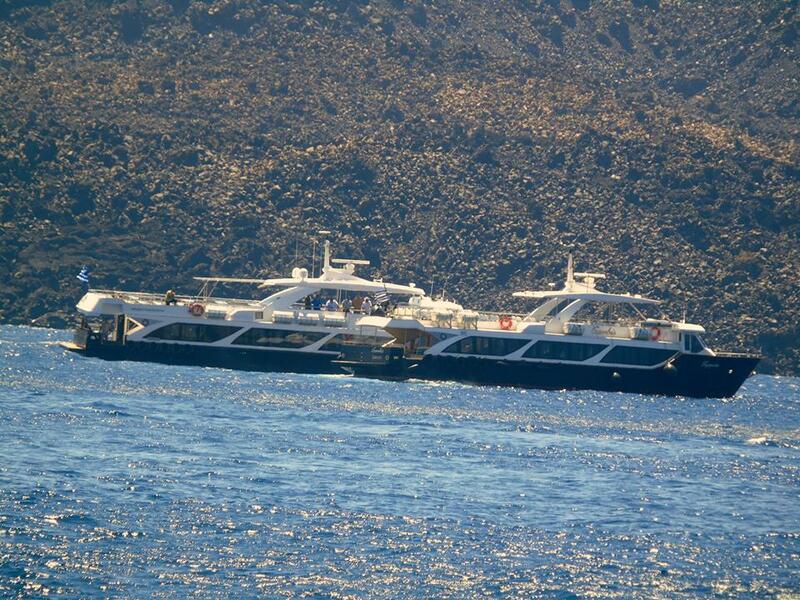 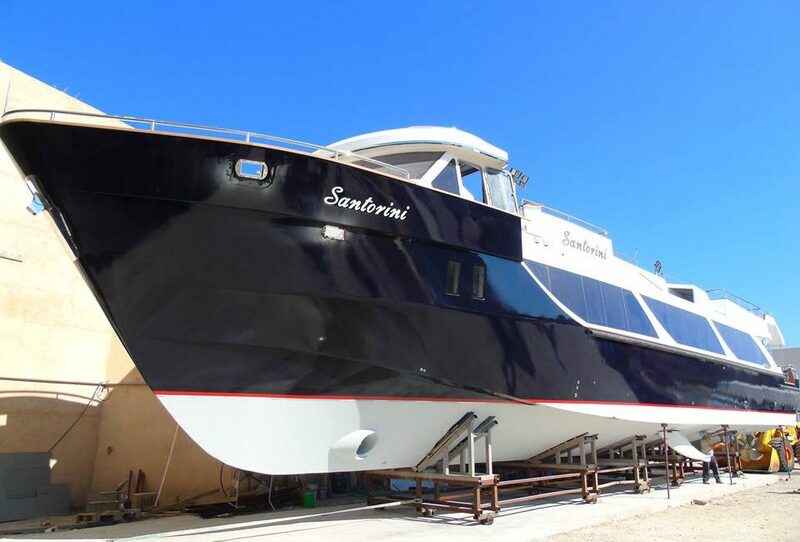 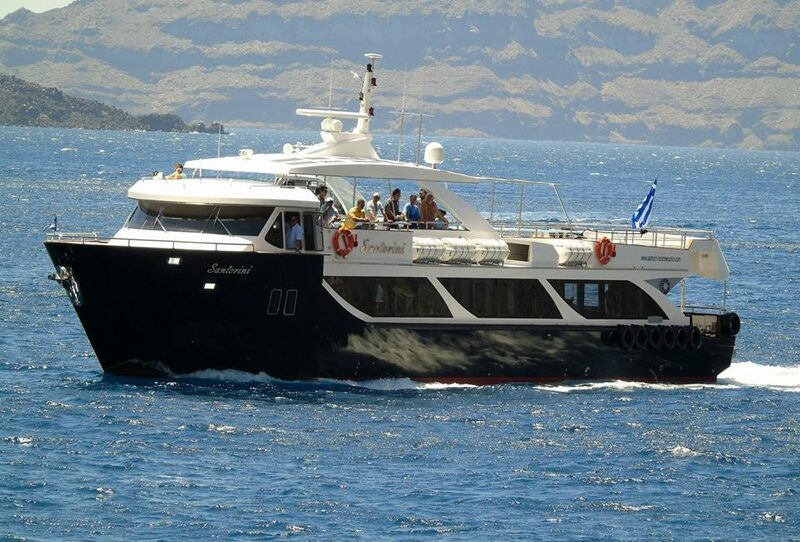 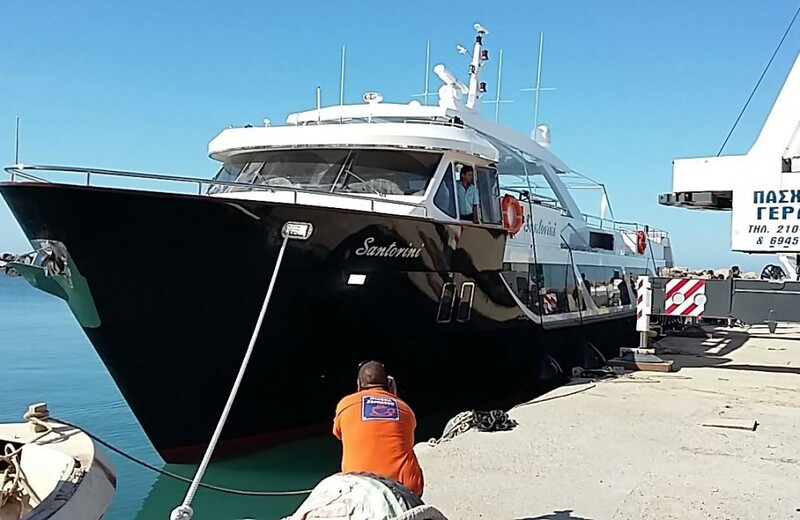 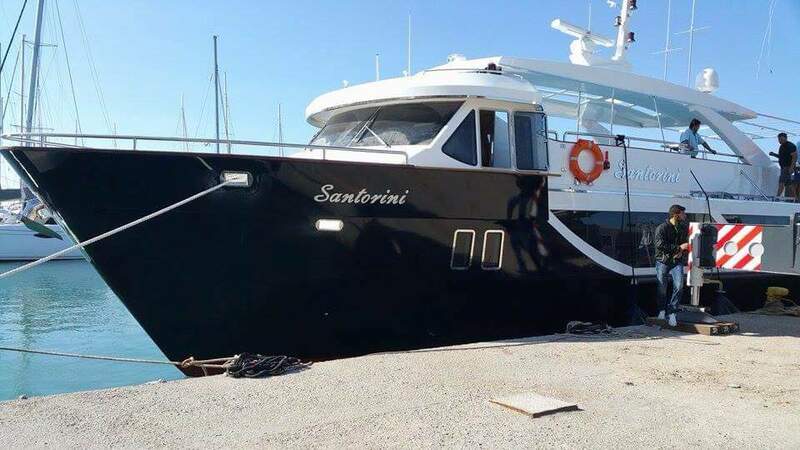 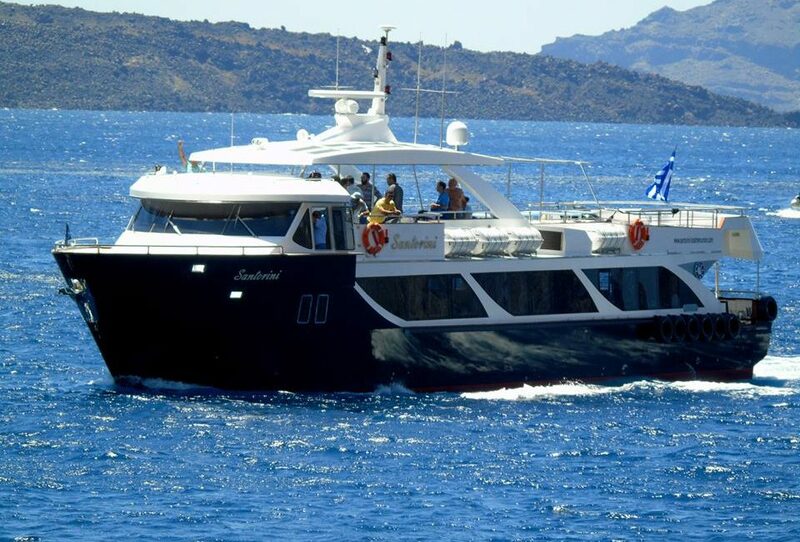 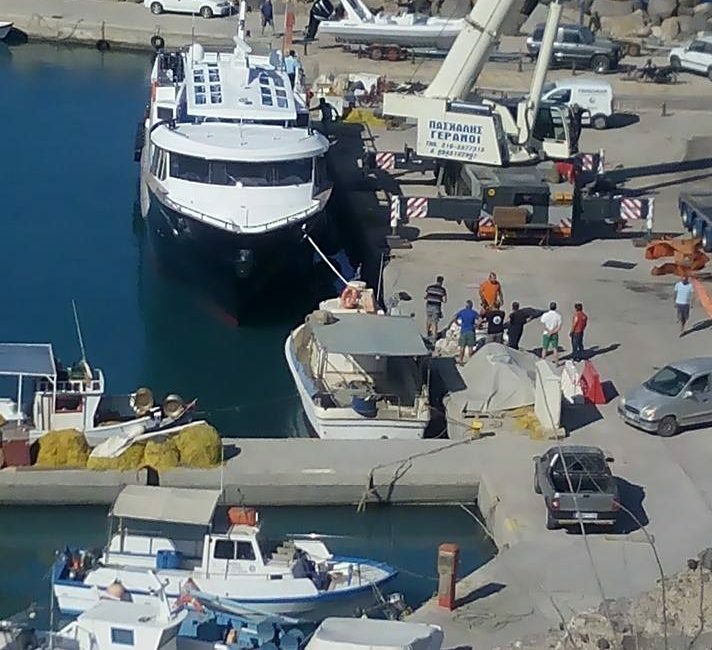 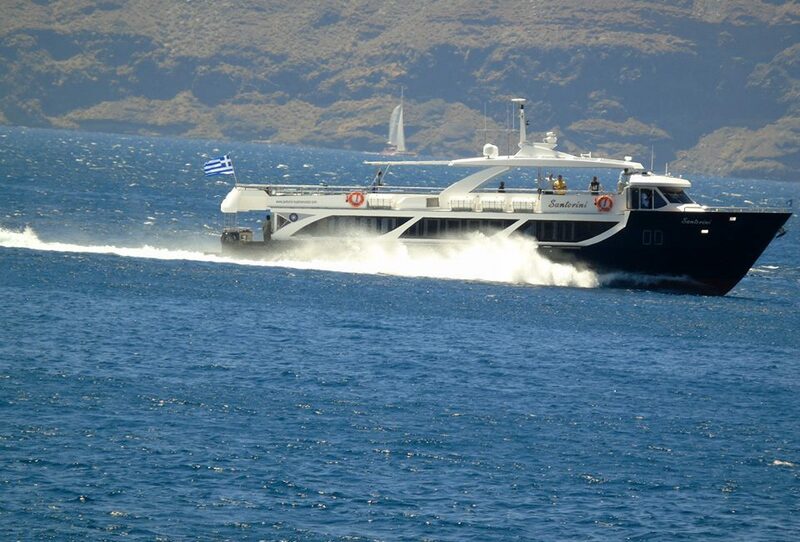 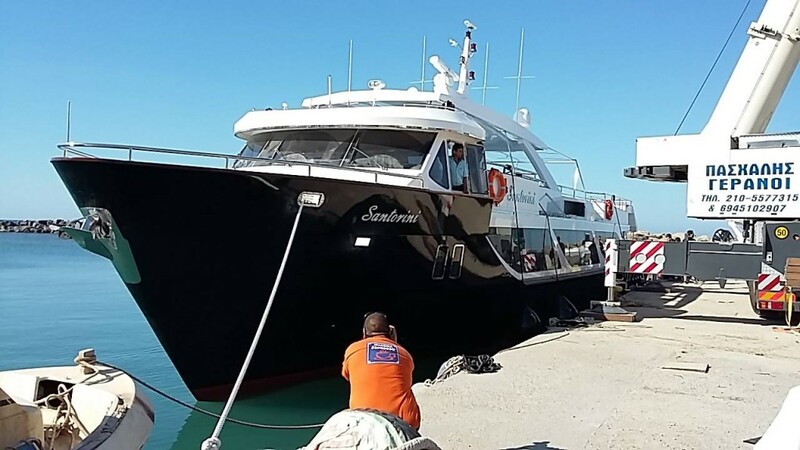 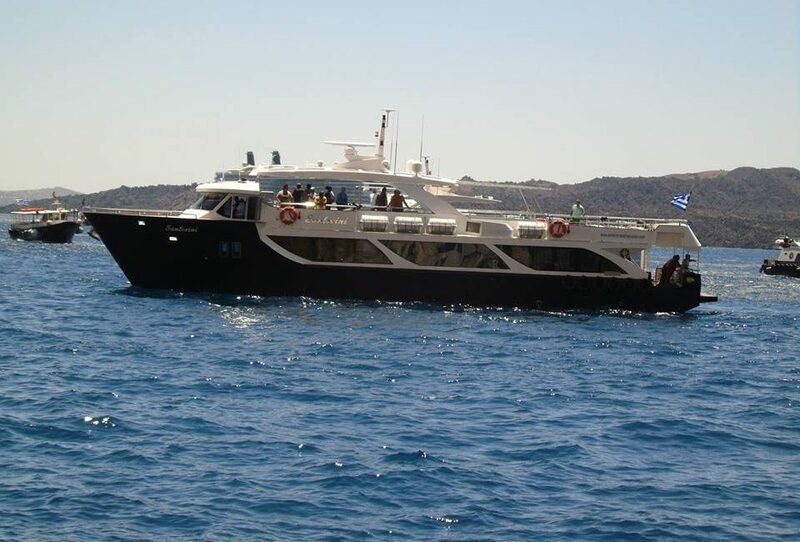 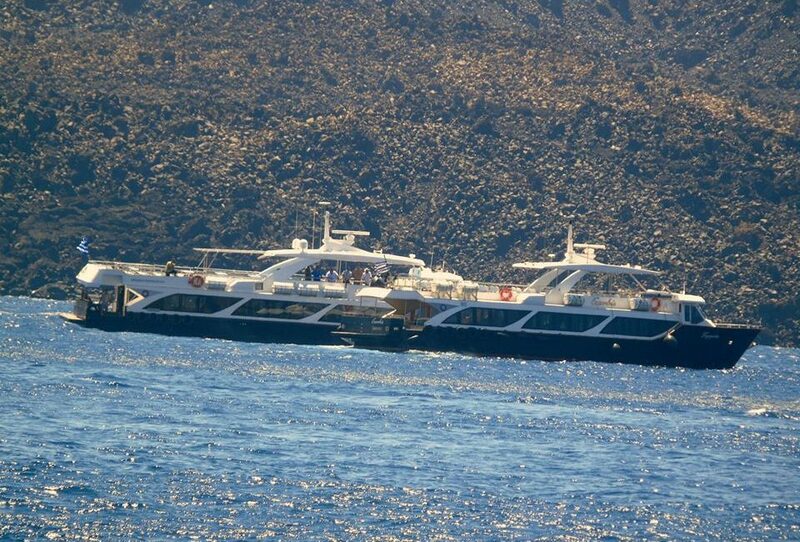 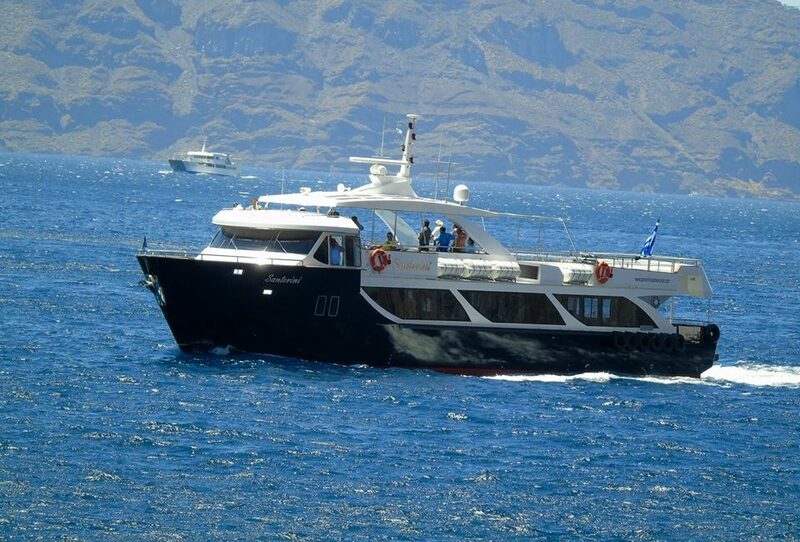 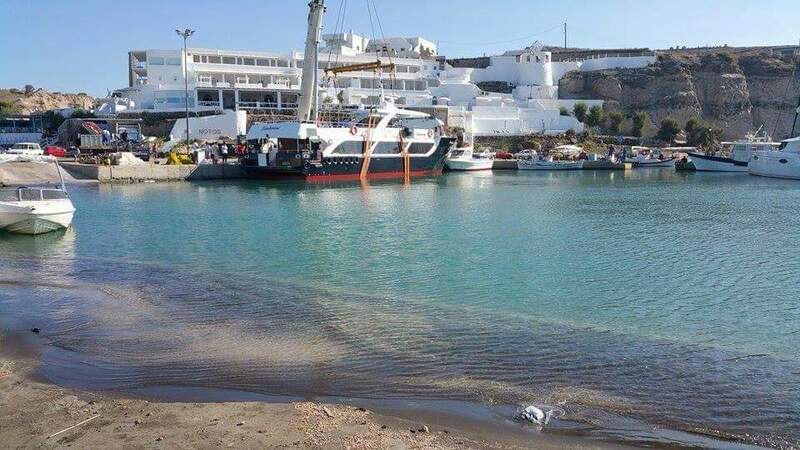 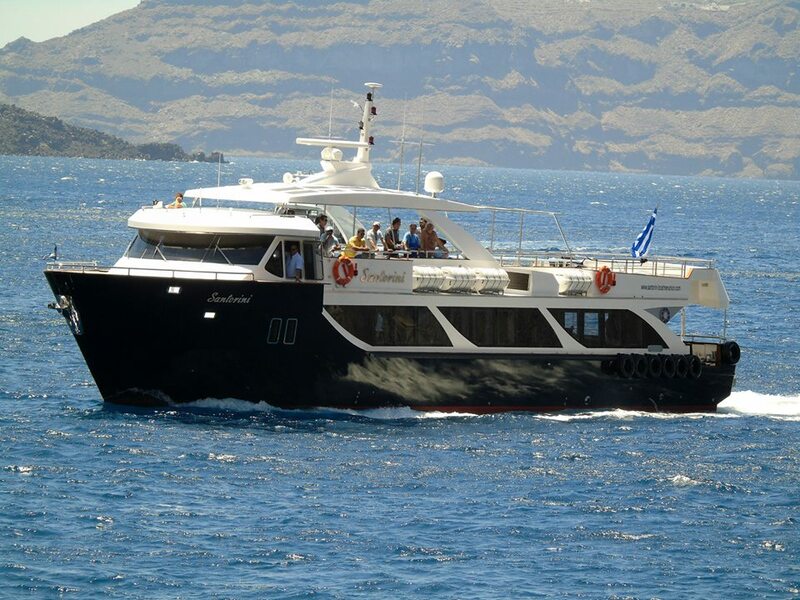 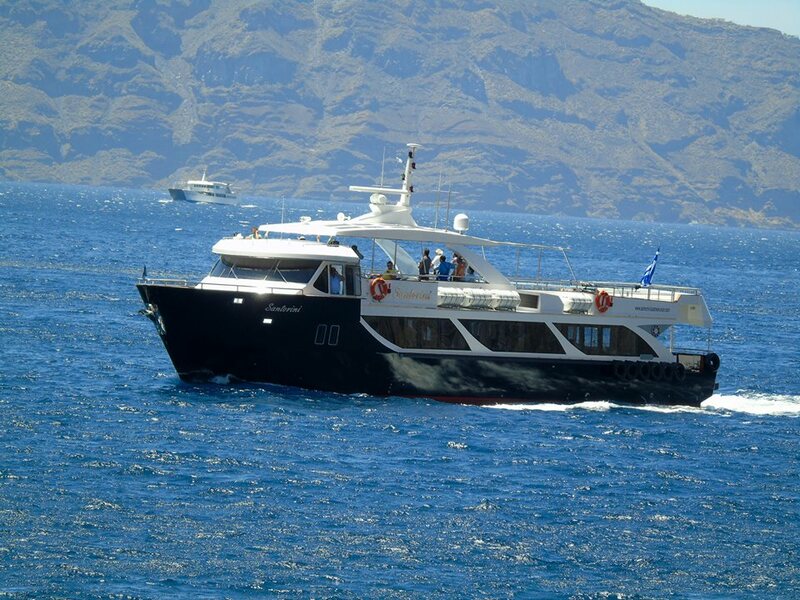 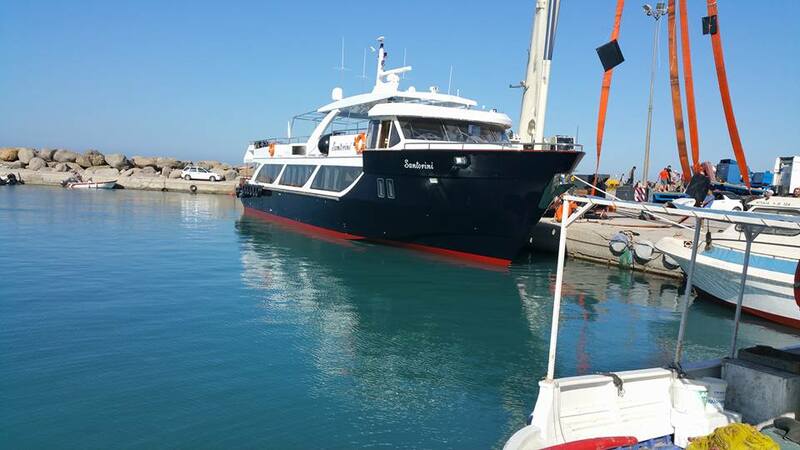 It will be used especially for the vessel chartering and the organized daily tours to the islands around Santorini.